Many people use the term "value proposition" and focus on how their company can make more money and profit. 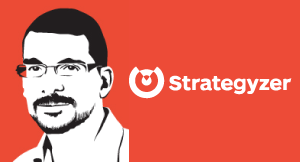 Alex Osterwalder explains that a value proposition is how a company's products or services will solve a customer's problem or pain. This is how a company will create value for its customer. Basically the value proposition is the story of how you are addressing jobs, pains, and gains that matter to the customers. Your value proposition describes how your products and services, or how you intend you know to create value for your customer with your products and services. It’s never your products and services alone, it’s how they address the things that matter to your customers.. So it’s the story of how your helping you’re customer succeed.